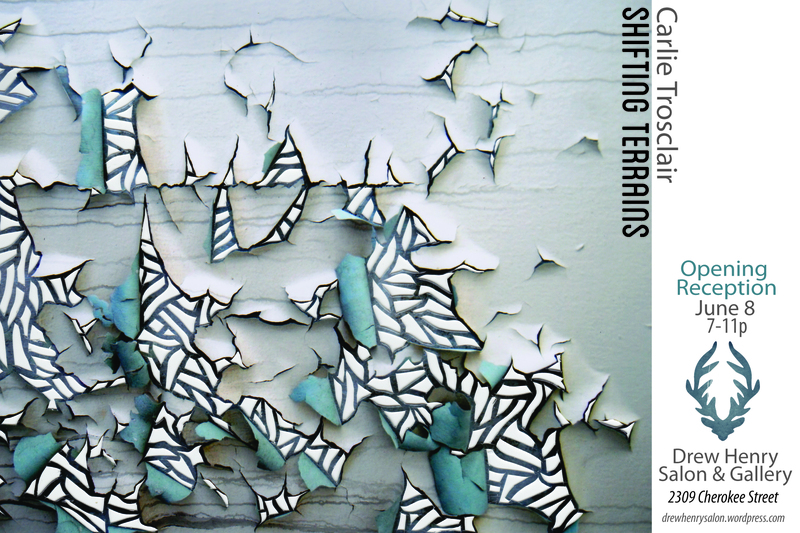 Drew Henry salon&gallery presents, Shifting Terrains, June 8, 2013 from 7-11pm. Shifting Terrains focuses on the transitory and ephemeral characteristics of natural, constructed, and architectural landscapes. In a constant state of change, each pattern and form become a suspended moment of wonder and evolution. Shifting Terrains excavates new compositions within familiar and unfamiliar terrains by exploring our ever changing perspectives and understanding of realities. Carlie Trosclair is an installation artist from New Orleans, Louisiana who lives and works in St. Louis, Missouri. 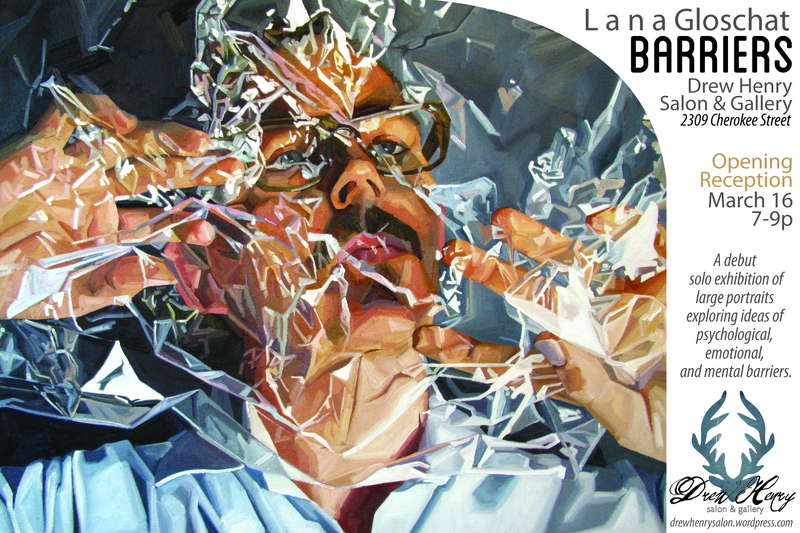 Trosclair earned an MFA from the Sam Fox School of Design and Visual Arts at Washington University in St. Louis, a BFA from Loyola University New Orleans, and is a Fellow of the Community Arts Training Institute Trosclair has exhibited widely in St. Louis, with solo exhibitions at Craft Alliance Grant Center, St. Louis Artist Guild, group exhibitions at The Luminary Center for the Arts, Meramec Contemporary Art Gallery, Foundry Art Center, the Kemper Art Museum, and in vacant domestic spaces across the city. In addition Trosclair has created temporary public art works for Grand Center’s First Night Event and the Luminary’s Post Performance Event Series. Trosclair is the recipient of the 2012 Riverfront Times MasterMind Award. Trosclair has completed artist residencies at Vermont Studio Center (VT), Woodside Contemporary Artists Center (NY), and has upcoming solo exhibitions at Antenna Gallery (New Orleans) and Hartnett Gallery (NY). Trosclair will be an artist in residence at chashama (NY) this Fall. Complimentary eats.drinks.music will be provided.